Liberty Bridge has an estimated 20,000 crossings daily. A poll taken by the Bay Area Chamber of Commerce showed little support for a proposal to sell two of the four Bay City bridge for $1 million to a private firm that would repair or replace two of the city's four bridges and install a toll system -- basically privatizing the bridges with motorists paying every time they cross the river. The City of Bay City is pushing ahead with a request for proposal for a public-private partnership to upgrade the city's Liberty and Independence bridges. That's supported by Bay County Executive Jim Barcia who says the city might also want to consider seeking part of the Governor's proposed infrastructure money estimated at $3,000,000,000 annually. Barcia says it could be late April or early May before the city considers RFP responses. He explained the County will try to give whatever backing it can to the city whether it's financial or perhaps placing a millage proposal on the 2020 ballot. Maintenance alone on both the Liberty and Independence bridges costs upwards of $4 million dollars in 2018 according to data presented by OHM Advisors. Minimum repair work would cost an estimated $29 million, while recommended repair work could cost around $57 million, according to the firm. The company is proposing 50 cents for city residents to cross, with an option of a monthly flat rate membership that would include unlimited crossings about $15 a month. Low-income residents would not have to pay for crossings and the company would contract with the city for ice and snow removal and potentially other sources. Short-term recommendations by OHM Advisors include seeking funding opportunities and continuing maintenance of the Liberty and Independence Bridges. Although the public is not highly favorable to the toll plan, a course of action is not yet emerging from the talks. Taxpayers need to be wary and more financial analysis is needed before any green light is given this project that will be part of city finances for decades to come. Proponents of financing the bridges through a local millage note the success of the extra-voted funding: 4.73 mills for projects including the library system, 1.9 mills; mosquito control, .55; central dispatch, .70; senior citizens, .55; veterans, .10; medical facility, .75; historical society, .095. 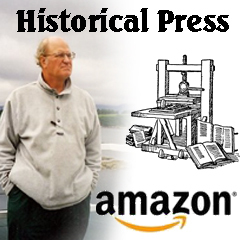 According to Historian Alan Flood, until 1864, the only means to traverse the Saginaw River between West Bay City and Bay City was by boat or ferry. The Third Street Bridge crossing played an important role in the growth of these communities, which merged as a unified Bay City in 1905. In 1976, the old reliable swing span bridge mysteriously collapsed one evening after opening to allow the passing of a lake freighter. A great debate followed about the location of its replacement, the Vermont - Woodside connection just north of it won out and the Liberty Bridge was built, a four-lane draw bridge. 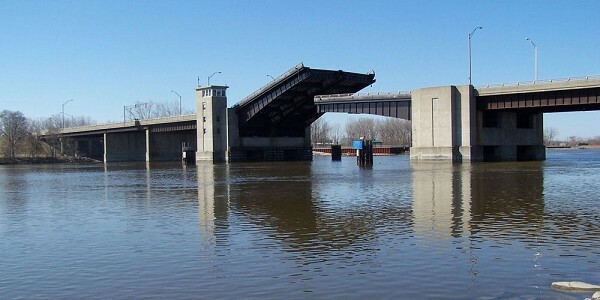 Andrew Dodson of The Bay City Times reports that critical repairs are needed to both spans to extend their lives. "Most concerning is the superstructure - the span that receives the live load - of Independence Bridge, which was rated in poor condition. That rating is due to deteriorating concrete barrier railings throughout all 11 spans of the bridge. The electrical and mechanical system of Liberty Bridge was rated as "poor to severe." Inspectors said the electronic equipment is aging and there could be a day when replacement parts could be hard to come by. Bridge inspections are done biannually. The most recent bridge inspection for Liberty Bridge is from January 2016; the most recent for Independence is from February 2017. United Bridge Partners, of Denver, Colorado, is proposing Bay City sell them both bridges for $1 million. They would then build a new Independence Bridge and make critical repairs to Liberty Bridge. To see a return on their investment, which is estimated at more than $200 million, they would charge a toll to motorists who cross it daily. Our suggestion is for Mayor Kathy Newsham to appoint a blue ribbon panel of financial experts to analyze the data and produce a report and recommendation. This issue is too crucial to Bay City's future to be determined by outside interests who may or may not be trustworthy. I live in Bangor Township and am retired so these proposals of toll bridges don't affect me as much as when I was working. I used the bridges at least twice a day 5 days a week for 20 some years. Even at the unlimited rate--which I wouldn't qualify for because I live in Bangor--I would have a cost of more than $1800 a year. That would certainly be more than my share of a county-wide millage. I like hearing that Mr. Barcia is ready to help at the county level--I certainly would support a county wide millage--and the state money certainly looks appealing. Maybe we could only charge cars with out of county licenses and out of state licenses?? (That's a joke!) I believe that putting a toll on the Liberty Bridge or closing it entirely as some have proposed would kill the downtown district. Until the Uptown at Rivers Edge connects to the downtown we have two districts competing and all the money is going to the new one. County wide millage or bond issue is what I support.